Jensen Earns Place in SCBA Hall of Fame - Sun City, Arizona - The Original Fun City! 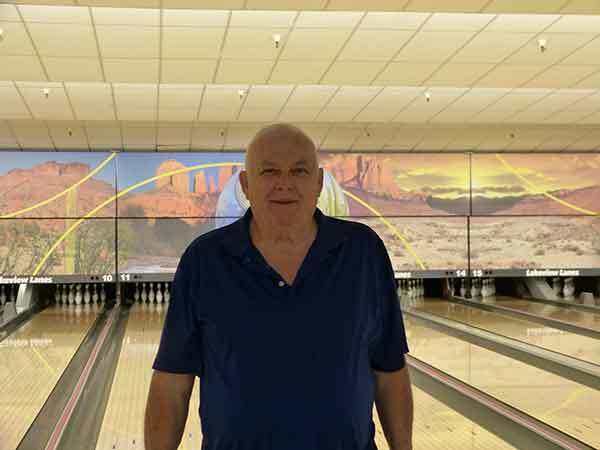 The Sun City Bowling Association’s Hall of Fame Committee is pleased to announce their latest inductee, Ed Jensen, who will be honored at a luncheon later this month at the Palmbrook Country Club. Nominations typically recognize Sun City Bowlers for their superior performance and/or meritorious service. In nominating Mr. Jensen, it was noted that he has helped with many SCBA functions and provides league support and assistance at both Lakeview and Bell Lanes. Jensen also has participated in many tournaments over the years and assists with coaching when requested to help those interested in the sport improve their skills. Tickets for this event on Saturday, February 23, 2019 cost $25 per person. Lunch will include chicken and beef duets, rosemary potatoes, steamed vegetables, rolls with butter, desert and coffee. A No-Host Bar will also be available. Contact Lovie Tiedje at 623-975-9385 to purchase tickets. Checks should be made payable to the Sun City Hall of Fame. Palmbrook Country Club is located at 9350 W. Greenway Rd. in Sun City. We extend a hearty and heartfelt congratulations to Ed Jensen for this deserving honor. Well done!